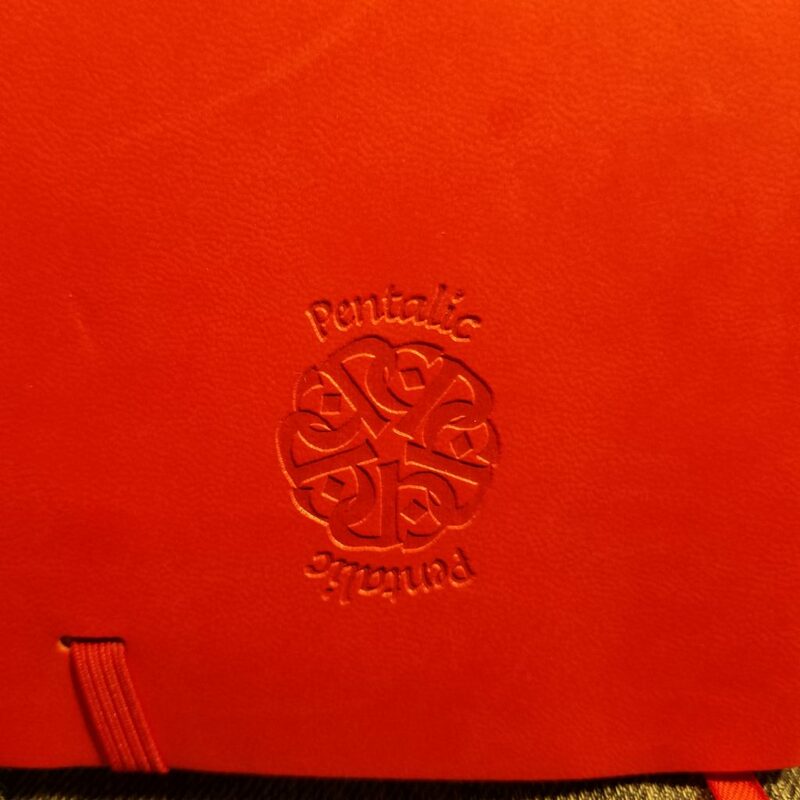 Let’s just cut to the chase, the Pentalic Traveler is a fabulous sketchbook or journal. Let me tell you why. The cover is made of soft touch vinyl. It feels really nice for vinyl. I purchased a softcover version. The covers are held shut when in transit by a sturdy elastic the same color as the vinyl. Mine is red, bright cherry red. Inside there is a lengthy satin red ribbon, in the same shade as the rest. I heat sealed mine. The end sheets are cream. 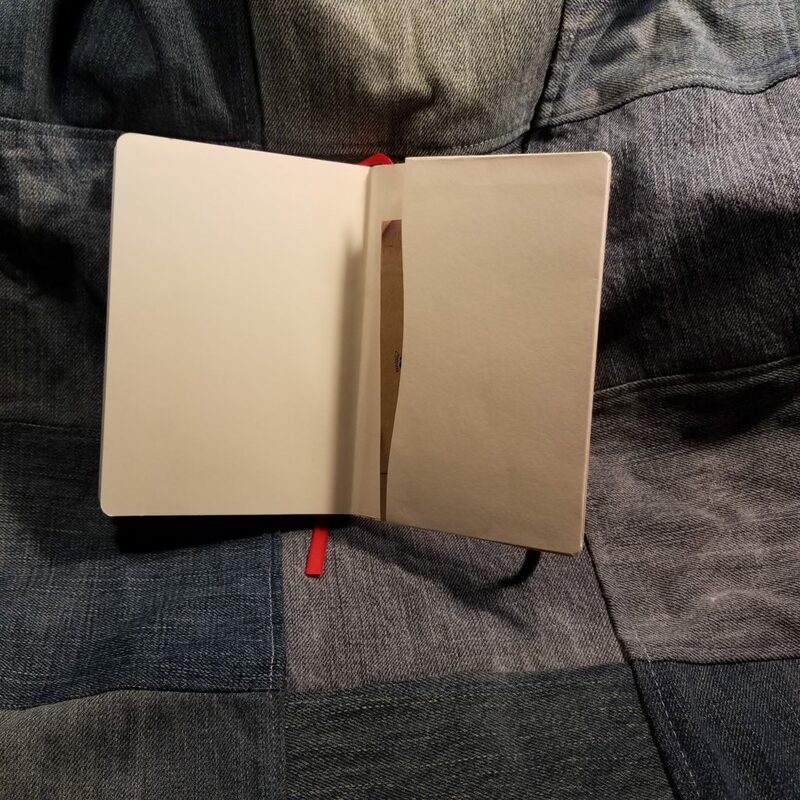 In the back there is a pocket for assorted loose bits and bobs you might add to your sketchbook as you are traveling. THe pocket is roomy. 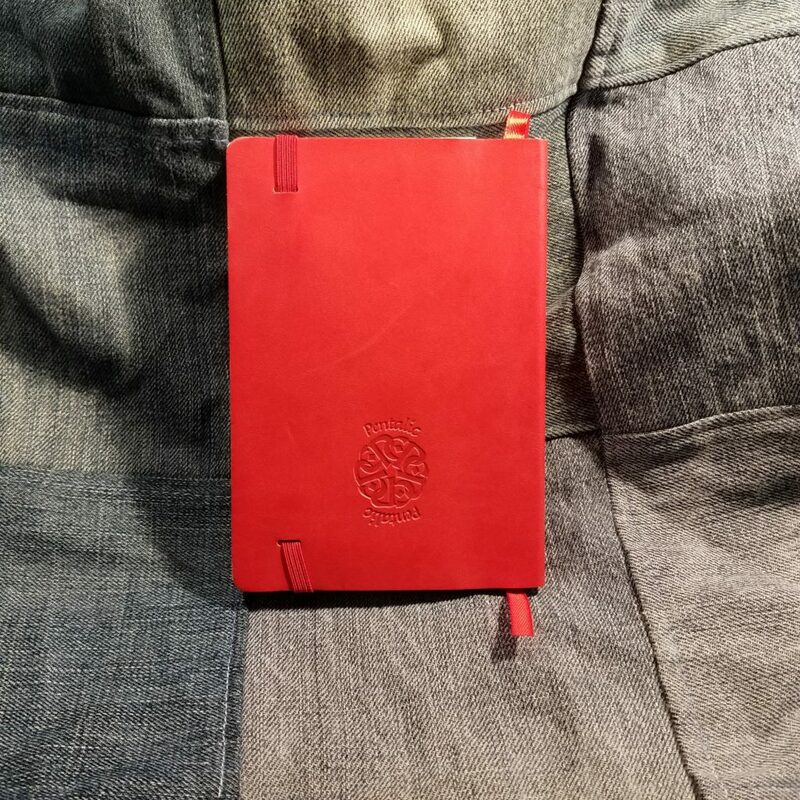 The soft cover allows you to stuff even more into the pocket than a hardcover. 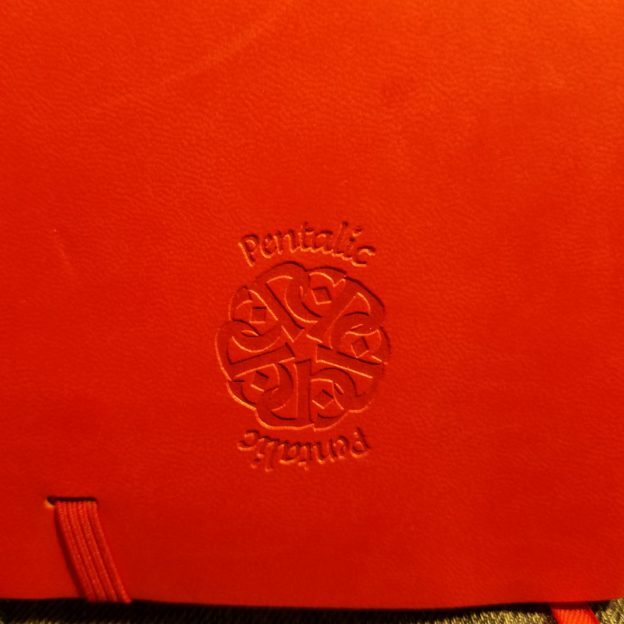 The book block is smythe sewn, sturdy and flexible. The paper itself is fabulous. It’s smooth but with enough tooth that pencils fair very well. Fountain pens and dip nibs glide across the pages. 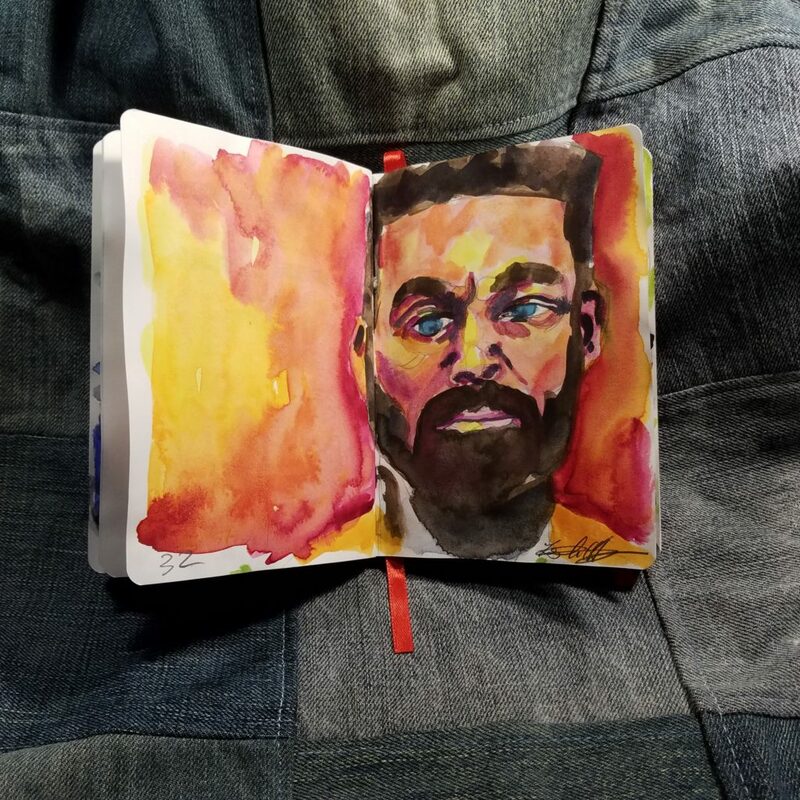 Surprisingly the 74 lb recycled sketch paper accepts watercolor washes with ease. 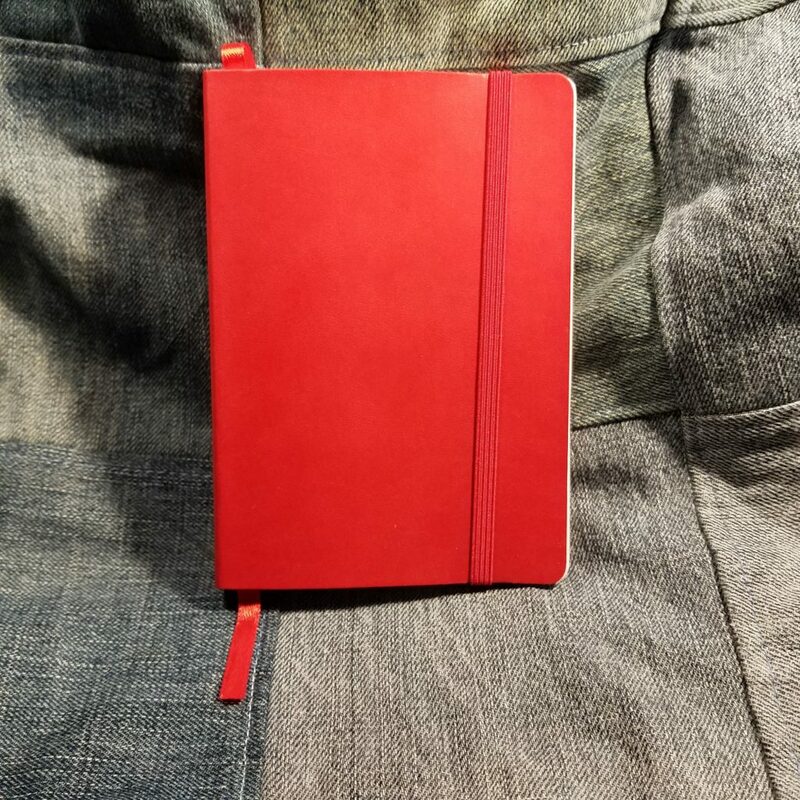 The paper cockles a bit but in the end looks better than most sketchbooks in this price range. 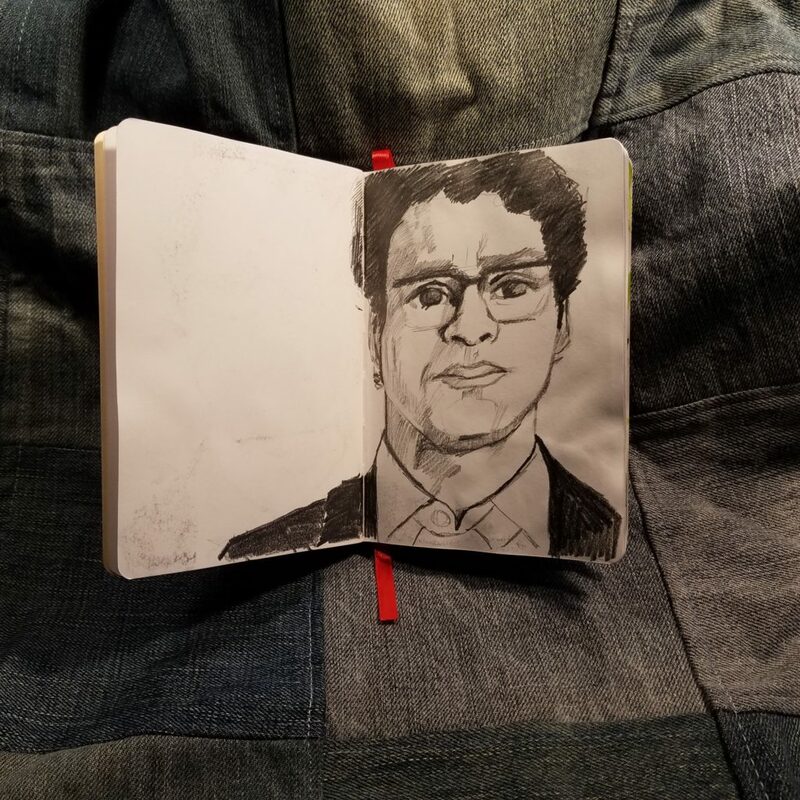 Overall I was very surprised at the performance of this sketchbook. Every media I used performed well and looked great on the cool white page. 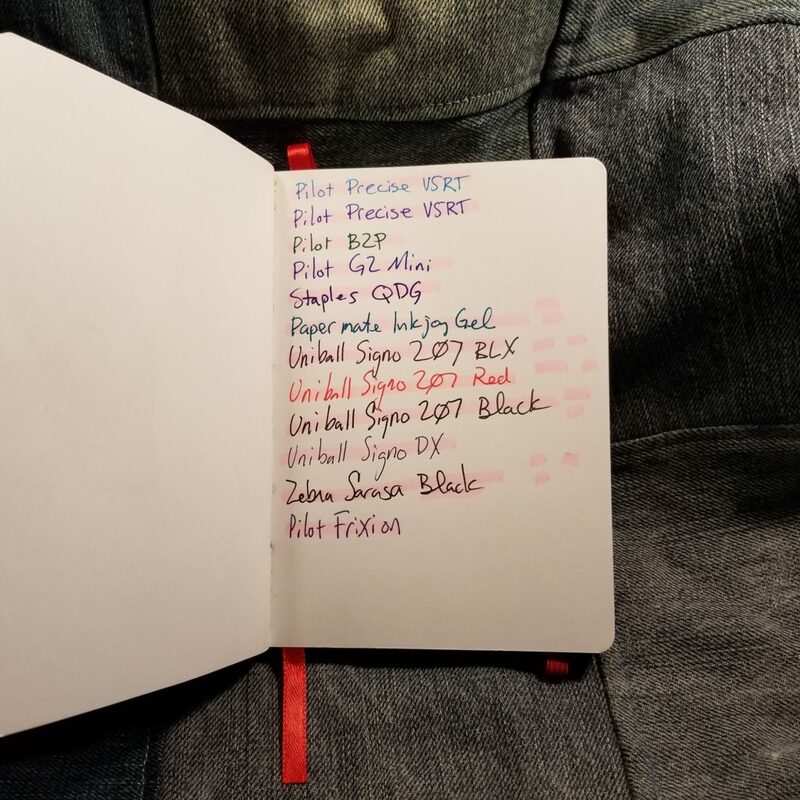 At $7.49 and 160 pages it’s not a bad price for a pocket sketchbook. It’s sturdy and full of great paper. 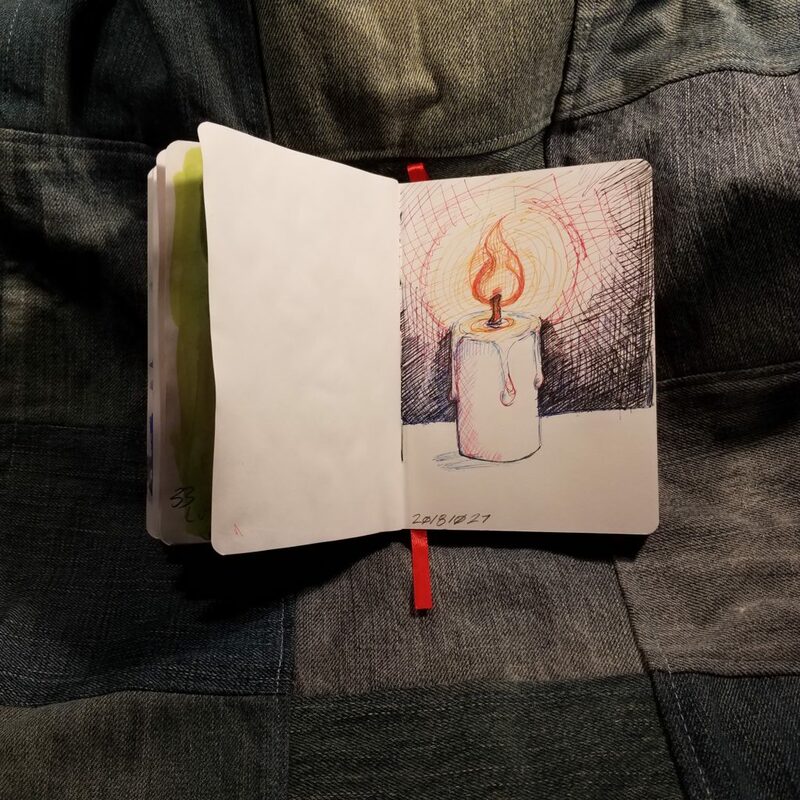 This entry was posted in Review and tagged pentalic, pocket, sketchbook on 20181122 by leslie.